Explore Brazil's other intriguing cities. All you need is a Brazil Airpass and your imagination. Included in Brazil city packages: Hotel accommodations including tax & service, daily Brazilian buffet breakfast, round-trip ground transfers & sightseeing as specified. 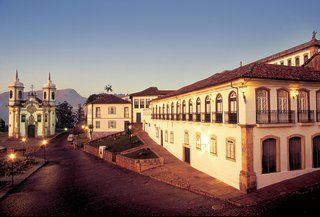 When you enter Ouro Preto, you will feel as though you have traveled back in time, to land in one of the most beautiful colonial towns in the world. Ouro Preto was home to the famed 18th century sculptor, Aleijadinho, and houses much of his work. It has been declared a world treasure by UNESCO. You will love wandering the quaint cobble-stone streets and staying in a charming colonial inn. Package includes round-trip private car transfers from Belo Horizonte Airport. Imagine over 250 separate waterfalls tumbling over a horseshoe precipice of over two miles. This is thundering Iguassu Falls, truly one of the world's greatest natural wonders. 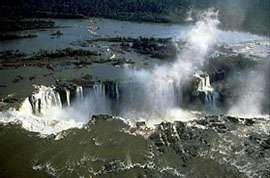 We highly recommend you also tour the Argentine side of the falls. Package includes a half-day, self-guided walking tour of the Brazilian side of the falls. Park fees are NOT included. 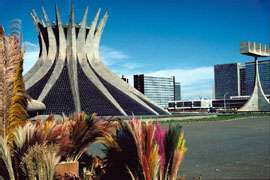 Hewn out of the vast central plains of Brazil, Brasilia was declared the nation's capital in 1956 by President Kubitschek, and on April 21, 1960 the federal government of Brazil was officially moved from Rio to Brasilia. The most impressive buildings of this modern city were designed by Oscar Niemeyer, Brazil's famed architect and sculptor. Half-Day city tour via motorcoach is included. TAM Brazil Airpass $560 See More of BRAZIL! Travel in Brazil may be via the popular Brazil Airpass, which allows for travel within the country on TAM Airlines (JJ) for a maximum of 21 days, permitting up to five coupons and four stopovers. It is available only to non-Brazilian residents and must be purchased outside of Brazil before departure in conjunction with an international air ticket. NOTE: EcoAdventures charges an additional $50 per person handling fee. 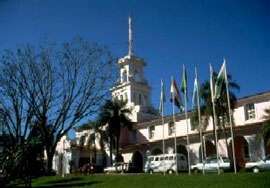 Discover Brazil's historic capital, founded in 1549 on the hills overlooking All Saints Bay. Formerly notorious for African slave trade, today it is a center for Afro-Brazilian culture and history, alive with unique costumes, cuisine, music and dance. Half-Day historical tour is included. NOTE: Rates are not valid during Christmas/New Year's Eve, Carnival or Easter Week. 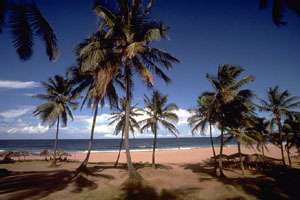 Recife gets its name from the reefs which protect its golden beaches. Colonial heritage abounds in its architecture, quaint shops and dramatic churches. 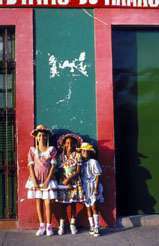 The package includes half-day tour of neighboring Olinda with its 18th century buildings, creative wall murals and brilliantly-painted doorways.